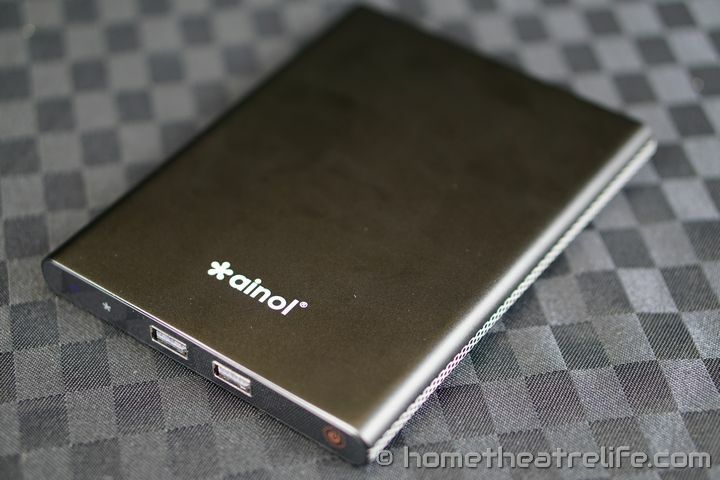 The Ainol Mini PC is the first Windows PC from the tablet maker Ainol. Whilst it shares many specs with devices such as its rivals like to VOYO Mini PC and MINIX NEO Z64, it has a few tricks up its sleeves. Unique to the Ainol is its USB 3.0 port and 7000mAh battery pack, allowing it to run without being connected to power as well as charge your gadgets on the go. Thanks to GeekBuying for providing me a sample to review. You can purchase the Ainol Mini PC from them here. 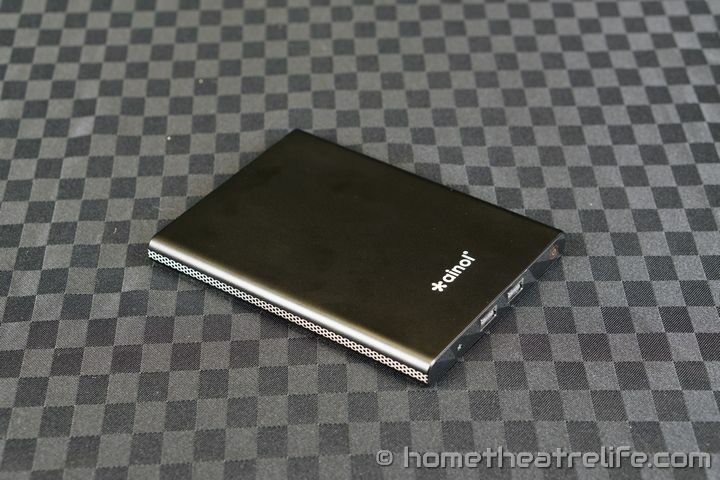 A compact Windows mini PC powered by a quadcore Intel processor. Its low power requirements and fanless design make it an ideal HTPC or desktop. Ainol have thankfully included a mini HDMI to HDMI cable inside the package which is great. 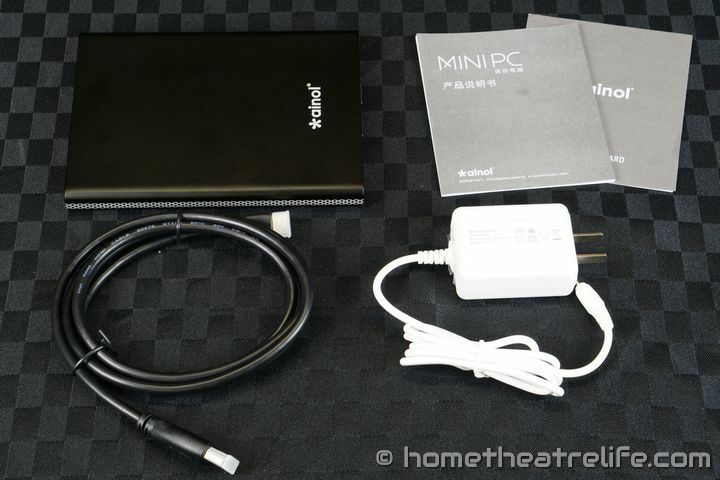 The VOYO Mini PC used the same mini HDMI port but neglected to include a cable, undoubtedly catching many unaware and unable to connect up their PC. I’m hoping including HDMI cables is a new trend for these Windows Mini PCs. If not, I’ll keep complaining about it until it does. Unfortunately, they haven’t provided a USB 3.0 OTG cable which is frustrating as USB 3.0 is one of the big selling points of the device. If you’re going to use USB 3.0, make sure you get one of these adapters. Taking it out of the box, the Ainol Mini PC is slightly larger than I anticipated but still quite compact. The build quality is exceptional, with an all metal case with silver accents. It has a really nice weight to it which makes it feel like a premium device. To boot the device, you press the power button and the device boots fast. Resuming from sleep is essentially instantaneous. Windows performance was fantastic, and I couldn’t see any slowdown or lag whilst navigating Windows 8.1. I can also confirm that Windows 8.1 with Bing is comes activated. Given the diminutive case of the Ainol Mini PC, I did have my concerns about how well the device would handle heat during load, as we saw that poor cooling brought the VOYO to its knees during demanding work. Thankfully, it seems that Ainol have really nailed the cooling aspect on the device, leveraging the large metal surface as a giant heatsink. I loaded the Ainol Mini PC using Prime95’s Small FFTs test, which states that it will generate maximum heat. After about 30 minutes of running, the SoC temperatures didn’t exceed 58°C measured using HWiNFO. The ambient room temperature was 23.9°C. This means that there was plenty of headway before thermal throttling kicks in. The Ainol Mini PC has certainly made an excellent first impression. Not only does the device have fantastic build quality, but its performance is great so far and effective cooling keeps SoC temperatures low. 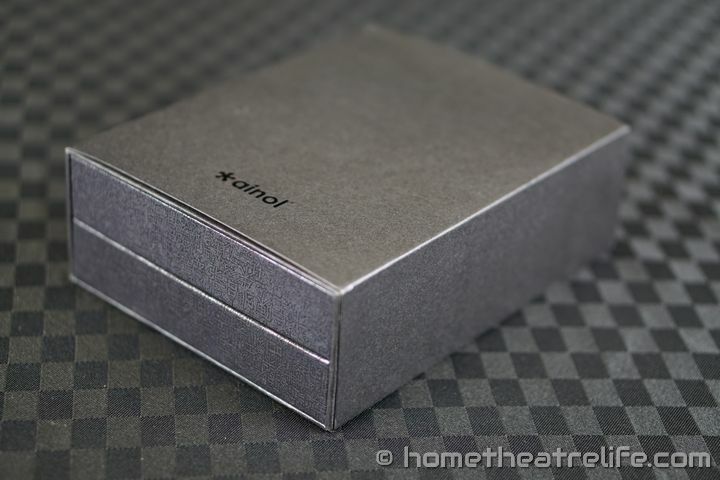 Keep posted for my comprehensive Ainol Mini PC review in the coming days. I received my Ainol Mini PC from GeekBuying. You can purchase your Ainol Mini PC from them here. What do you think of the Ainol Mini PC? What’s your favorite feature? Would you use the internal battery as a battery pack?